Wait, whaaat? The only problem is that the video whizzes by in about 20 seconds, and you’ll probably be left with a puzzled look and a lot of questions. The good news is that we’ve done some research and found the complete recipe on weightwatchers.com. Here it is! Add scallions, ginger, and garlic to pan, stirring constantly for 30 sec. 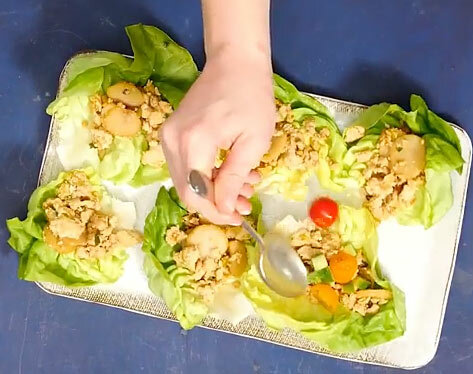 Yum, that is a tasty, Weight Watchers-friendly Asian chicken lettuce wrap recipe. Sorry P.F. Chang, I’m not blowing up my SmartPoints for the day! This entry was posted in recipes and tagged chicken, recipe, ww recipe on July 5, 2018 by kevin.